Family Owned & Operated, Servicing Southern Ocean, Atlantic and Northern Cape May Counties. 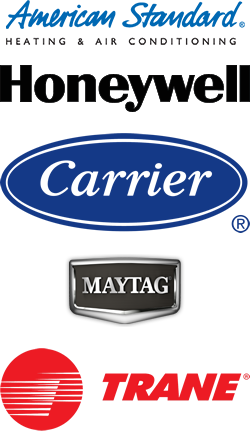 Residents know that when it comes to heating and air conditioner repairs and installations we are the company to trust. During the summer and winter months, your heating and air conditioner needs to be in prime working condition. Don’t suffer through the seasons without an optimally tuned heating and air conditioning system. Southern Ocean County, Atlantic, Cape May Counties and the Jersey Shore areas in the LBI region have particular weather and our experts can diagnose your air and heating unit for optimal performance. Highly recommend...came to our house for some work, very nice guys and VERY reasonable. Very satisfied with the service provided by Atlantic Coast. Fast response. Top quality work. You can tell that they did not shortcut the job and paid attention to detail. Best pricing. They had to run electric and copper through a block wall. Someone else would just whack a hole in the block but these guys cut cleanly, inserted a PVC sleeve, caulked as appropriate. Real nice! New AC unit in both of my buildings sized right and blowing cold! Absolutely would recommend AND will go back for any other HVAC needs. By the way, these guys clean up after themselves. Eric and Jim were very helpful in explaining all that was involved in installing my air conditioning unit in my attic. I have been quite pleased with everything and even the summer "readiness" inspection just completed. My next priority will be "updating" my 1950s boiler before next winter. I feel confident that they will do a great job on this project also. Eric did a wonderful job installing our new heating and cooling system. Answered any questions we had and were prompt and friendly!!! I would highly recommend them for anyone's HVAC needs!!! Very happy customer here!!! We had a new gas furnace and ac unit installed with all new duct work for a modular home we had built. Atlantic Coast provided a prompt and affordable estimate. They communicated well throughout the process. They were aware and up to date on all of the township codes. We passed all of our inspections with no issues. Their work was clean and professional. We are extremely satisfied with the HVAC unit they installed and the manner in which they installed it. We highly recommend Atlantic Coast to anyone seeking HVAC work! A shining example of excellent service! They were prompt, courteous, and easy to understand responses to the questions I asked. It is a pleasure to do business with someone honest and straight forward, I appreciate it. Very professional and would highly recommend to anyone. I recently had a problem which necessitated the replacement of my a/c unit. I called Atlantic Coast Heating and Cooling. Their response was almost immediate and I was very pleased with their courteous and professional manner. The Communicator, (Sunrise Bay Community Paper in Little Egg Harbor, NJ), highly recommends Atlantic Coast Heating and Cooling, LLC. Eric delivered great service and product. He was professional and courteous throughout the job and we could not be happier with our new heating and air system. 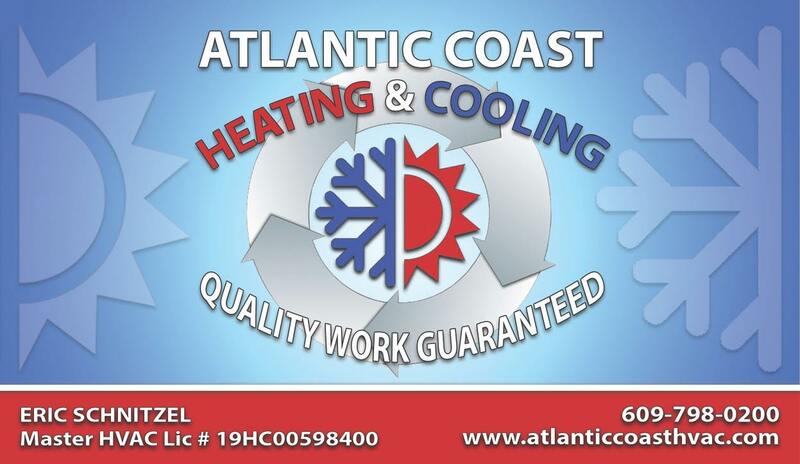 Atlantic Coast HVAC, LLC serves residents of Southern Ocean County, Atlantic County, and Northern Cape May County residents. 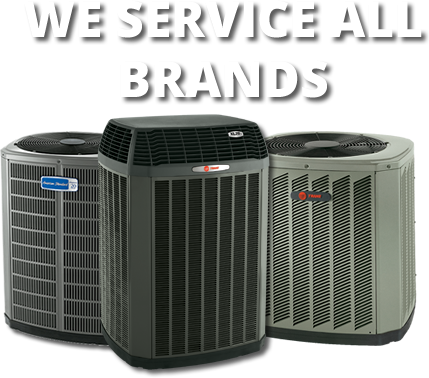 We provide a quality work guaranteed for all your heating and cooling needs. 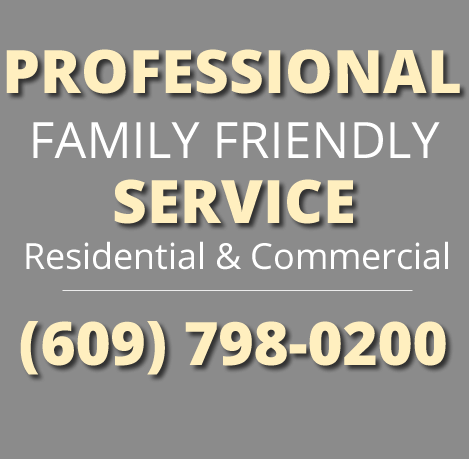 We are family business and we provide the quality craftsmanship, reliability and professionalism that every homeowner deserves.